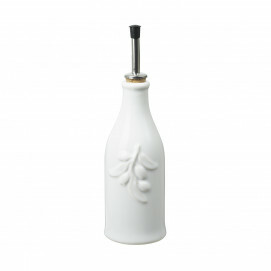 Shop for a ceramic olive oil cruet to store, serve and pour easily your best olive oil. Design by REVOL. French porcelain. 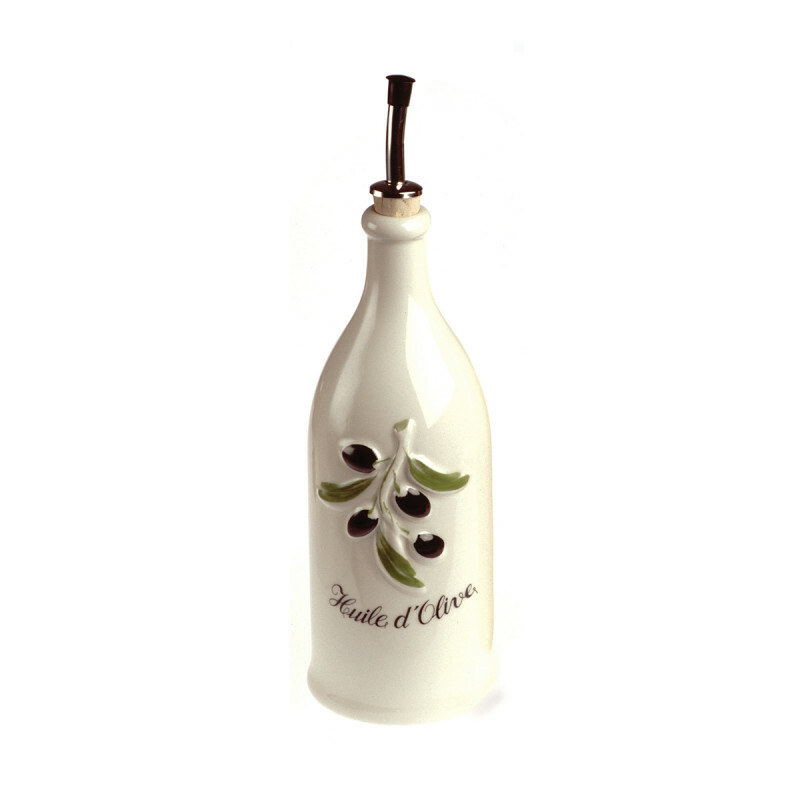 Not just an ordinary olive oil cruet, the Revol Grands Classiques Provence Olive Oil Bottle is a work of art. From the smooth, non-porous porcelain to the French “Huile d’Olive” in elegant lettering, this cruet will look beautiful in your kitchen or on your table. Since its made of porcelain, the olive oil will stay fresh and maintain both its color and taste. You won’t have to worry about the cruet absorbing fat and it’s easy to clean in between uses. The bottle holds 26.5 ounces of oil and has an easy-to-use pourer top that will help you control just the amount of oil you want. Healthy dinners and family meals will come together quickly as you use this olive oil cruet to oil your pans or dress your salad. 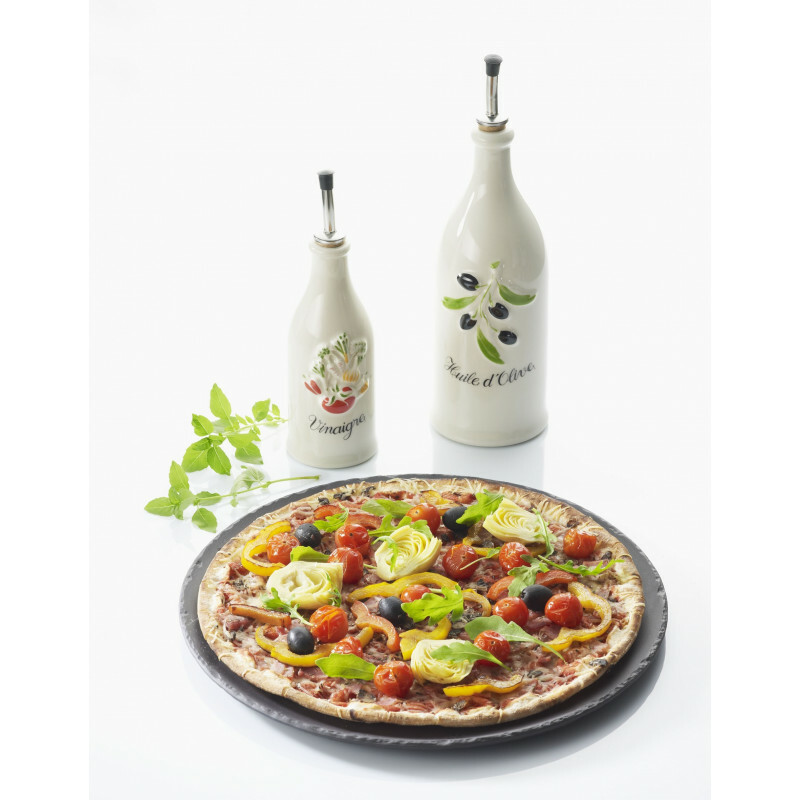 This olive oil cruet is available in smaller size.